Welcome to Marketing Movies. A One-Stop partner for all your Marketing Movie needs. Our services include and not limited to Promotional Products for Movie Companies (DVD / Theatre). Merchandise for Movie Companies. Licensing image rights / co-branding. In-Movie Advertising and Product Placement. With new and exciting movies being released almost every week, movie promotion has become a tough industry to live. Movie promoters need to think outside the box and unleash their creative minds to make a perfect movie promotional campaign. In our example, How To Train Your Dragon has an interesting approach to their latest marketing concept. The movie franchise offers movie-goers a snack and drinks combo for only $13.90. What makes this promotion extra special is that the snack will be in a movie popcorn container that is molded like Toothless, How To Train Your Dragon's lead star. 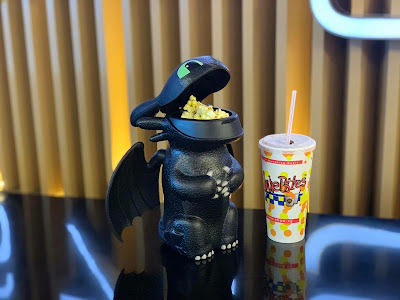 As mentioned, the movie popcorn container is shaped exactly like Toothless the dragon. It's made from a non - toxic material that is both durable and light hence the brand is sure that they are only giving quality marketing gifts to their customers. How Can This Movie Popcorn Container Help? 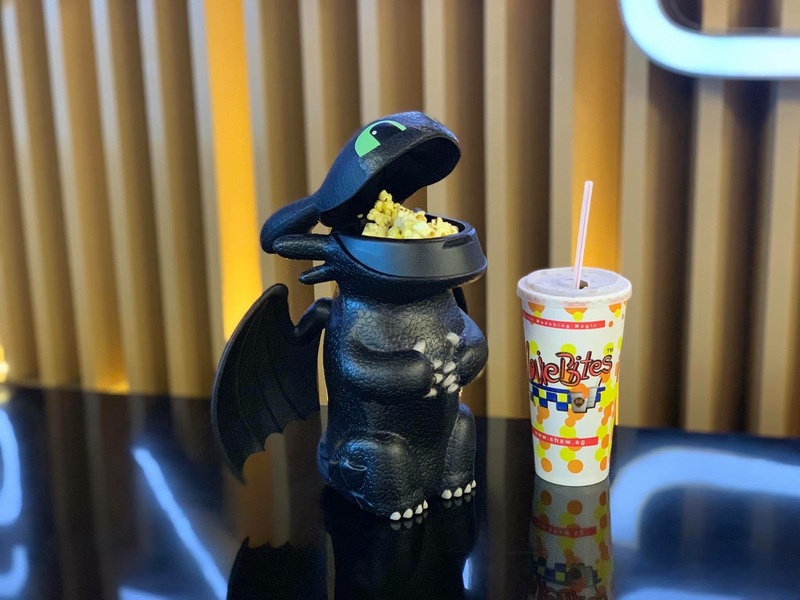 Promotes The Movie - When a customer purchases this custom popcorn container, it reminds them of the movie almost instantly even if they're watching a different movie. 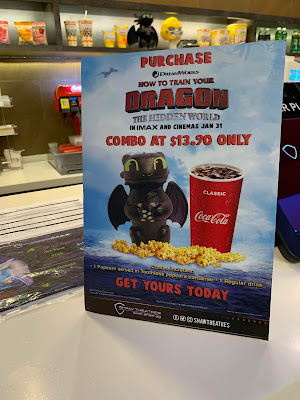 This container is a subtle reminder to the consumers that How To Train Your Dragon is currently shown in Cinemas. Brand Value - Offering giveaway promo gifts could improve the brands reputation because it leaves a good impression on customers. Hence, moviegoers would watch the movie with a positive outlook on the brand/movie. Why Do We Love This Movie Popcorn Container? Customisable - Evidently, popcorn containers can be molded into your preferred design. This helps movie promoters fulfill their goals with their projects and campaigns. Affordable - Since this is made from a material that can be sourced almost anywhere, it means that the cost to produce these popcorn containers should be within your marketing budget. Saves The Environment - With the huge amount of single-use materials that litter our environment, this durable container helps in protecting our deteriorating natural resources. Obviously, customers would repurpose these containers turning them into something useful. Overall, the promoters took a huge and risky step in promoting their movie but at least, it was a successful one. If this item interests you, feel free to contact us anytime, Our team is always ready to answer all your queries. What's Going On In The Promotional Industry? Marketing Movies © 2012. Picture Window theme. Powered by Blogger.